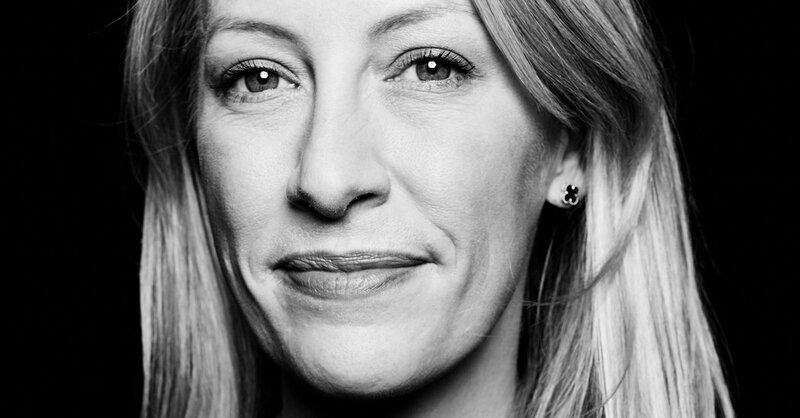 Corner Office: Julia Hartz Founded Eventbrite With Her Fiancé. Then She Took His Job. Conventional wisdom has it that mixing professional and personal relationships is unwise. Julia Hartz ignored the conventional wisdom. After college and a few years bouncing around the media business, she co-founded Eventbrite, the ticketing website, with a team that included her fiancé at the time, Kevin Hartz. That was in January 2006. Today, Eventbrite is on track for almost $300 million in annual sales, and Ms. Hartz has made the transition from president to chief executive, a job she took over from her husband. Though Ms. Hartz didn’t aspire to get into the technology industry, it was never far away. She grew up near Silicon Valley. She worked in Hollywood just as companies like YouTube were starting to disrupt the media business. And in Mr. Hartz, she found a serial entrepreneur and angel investor who had founded a money transfer service, Xoom, and made early bets on PayPal, Pinterest and Airbnb. The couple got engaged in April 2005, started Eventbrite nine months later and got married five months after that. In 2016, Ms. Hartz became chief executive, allowing Kevin to return to investing and entrepreneurship. And last September, Ms. Hartz took Eventbrite public, making her among the few women to lead the successful initial public offering of a technology start-up. This interview, which was condensed and edited for clarity, was conducted at Soho House in New York. My mom and dad had my brother, had me, and then realized that they were best friends, but not great at being married. So they decided to split, but made a pact to always stay close. That decision cast the die for me in a very positive way. I was about 14, and I worked at a new coffee shop called the Ugly Mug on weekends. I would get there before it was light out and open up. From the Ugly Mug on, I’ve never not worked. That’s a huge disparity I see with kids today. No kids work. At least no kids in our neighborhood in San Francisco, which is totally nuts. Working was one of the most important things for me. My daughter will work, and it will be at something like a coffee shop. How did you wind up at Pepperdine University? In my senior year of high school, I interned for Dina Ruiz, who was a local anchorwoman in Monterey. She gave me the seedling of an idea that I could become a broadcaster. I did my research and I came up with Pepperdine, but it was incredibly expensive. I got in early admission, and had no way of affording the school. So I signed up for U.C. Santa Barbara. But my mom said, “If you really want to go to Pepperdine, you should tell them that.” So I wrote them a letter. Then, two days before I had to put down a deposit on U.C.S.B., I got this huge packet in the mail, and it was a complete financial aid package from Pepperdine. How did you get started in Hollywood? I hated it. I couldn’t get out of there fast enough because of the energy. I’m an energy person. Maybe it was growing up in Santa Cruz or maybe I was just born with it, but human energy, I just feel it so much. Right after I met Kevin, I started going up to San Francisco on the weekends, and we’d go to parties where the PayPal guys were playing speed chess. Kevin was building Xoom, and he’d come down and practice his pitch deck on me a million times. I was in love, so I’d just sit there staring. I was working at FX at the time, during this period where product placement started to become a thing. And I would be on the phone with Anheuser-Busch, getting yelled at because we didn’t have the Miller Lite bottle the right way for long enough or whatever. And Denis Leary would be on the other line going, “I’m not getting paid for this.” It was a slow-motion train wreck, and meanwhile, Kevin’s showing me the first YouTube videos, and I’m seeing how quickly things can move. Was it difficult working with your partner? We looked at it as a social experiment. We thought, “If it doesn’t work out, then we’ll go back to doing our day jobs.” But to this day, we still can’t agree on who would have left the company if it hadn’t worked out. We were really motivated to make it work. Some of our close friends, who had built a few businesses together, gave us this great advice: “Divide and conquer,” they said. “Never work on the same thing at the same time.” And that was our golden rule. We just never worked on the same area of the business at the same time. If you’re working on the same spreadsheet, you’re going to be fighting over the mouse. How did you sort who did what and who was the boss? That’s where things get interesting. When we started, I had a nebulous title of president, and Kevin was C.E.O. That was obvious, as he had built companies before. But at the beginning, it’s all kind of fake. You’re sort of playing company. We really became a company when we raised our first round of outside money, from Sequoia Capital, and scaled the team from 30 to 100. At that point, I needed to figure out what my purpose was. I was 30, we had just had a baby, and I was like, “Am I just a random sideshow? How am I going to be a value add to this business?” I was doing a little bit of everything, but by that point, we had found the customer support lead, the marketing lead, the finance lead. I was not functionally critical. So I decided to focus on people. That can itself sound nebulous, but it was one of the best moves for the company because I was a founder, sitting at the table for all the major decisions. I got to focus on how we were going to build the best company, in addition to the best business. How did you become C.E.O.? What was the transition from president to C.E.O. like? It was like I was in Candy Land, and then I stepped into Tron. We had to get to profitability, had to re-accelerate the core business, and had to figure out if we were going to go public or not. On top of that, we had a chairman now who has stepped out of the C.E.O. role, and was trying to giving me space. Kevin is my motivator. He’s my mentor. And somewhere along the way, I figured out that he’s just nuts because he believes I can do anything. But if you have that person who just consistently says, “You can do anything,” you start to believe it. But then, all of a sudden, he was gone. We sat next to each other for 10 years, and now all of a sudden he wasn’t sitting next to me. That was really hard. We just did two days with investors. There are so many negative things to be said about the I.P.O. process and being a public company, but it’s been a really positive experience for us. Investors want to know what our growth levers are, and they want to understand the growth profile. You’re both trying to look for signs if the other people are for real. And to some extent, I think investors want to know how committed I am. It’s like getting into a relationship.